Who needs Mickey and Minnie when you can play hockey on March Break. Tyke Select Practice has been scheduled for Saturday, March 14th, 2015 from 2:00 pm to 3:​20 pm at Adie Knox. So save yourself the $5000 and come skate with us. 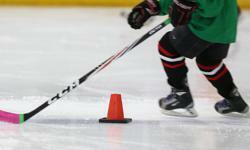 Tyke Select parents, there is a practice scheduled for Friday, February 27, 2015 from 6 pm to 7 pm at Adie Knox Arena. Escape the cold weather outside in our nice warm arena. See you there! Practice has been scheduled this Friday, February 20, 2014 from 6:00 pm to 7:10 pm at Adie Knox Arena. Looking forward to seeing everyone there.